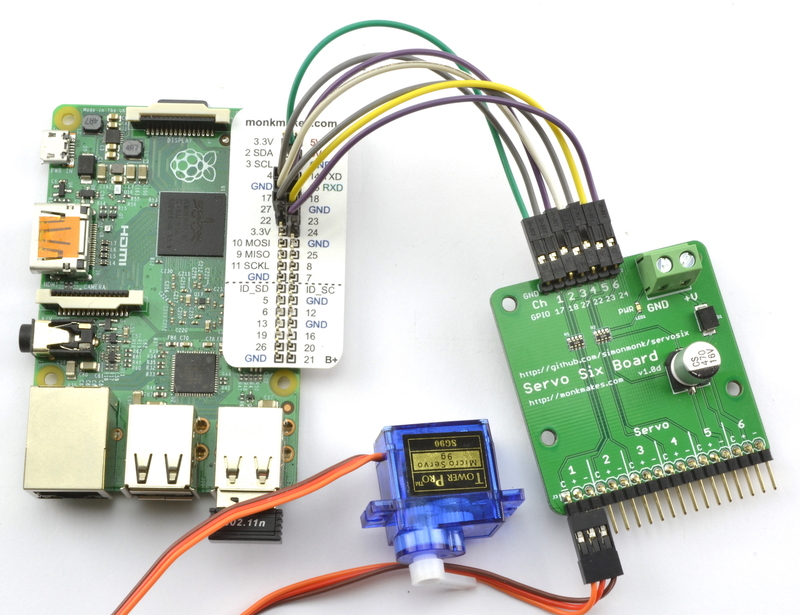 To connect a ServoSix board to a Raspberry Pi you need a female to female jumper wire to connect ground (GND) on the Raspberry Pi to GND on the ServoSix board. 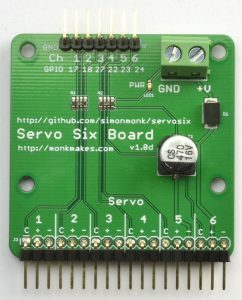 For each servo (up to six) that you want to control, you also need a female to female jumper wire connecting the control pin for that servo on the ServoSix board to one of the GPIO pins on the Raspberry Pi. Power for the motors must be supplied separately using the screw terminal on the right. 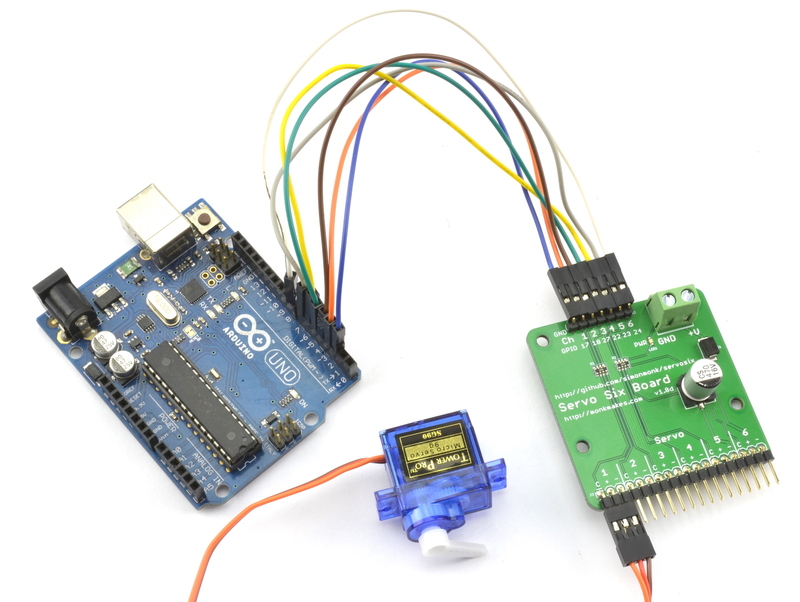 When using the Servo Six with an Arduino, you can just use the standard Arduino Servo library.